Just in time for the next blockbuster, Star Wars: The Last Jedi, this unique and beautifully designed compendium with removable features traces one of the franchise’s most iconic characters—the stormtrooper—from initial development through all nine Star Wars movies to their many iterations in TV, comics, video games, novels, and pop-culture. Star Wars Stormtroopers explores these striking warriors and their evolution in-depth for the first time. Ryder Windham and Adam Bray trace the roots of their creation and design, and explore how these elite troops from a galaxy far, far away have been depicted in movies, cartoons, comics, novels, and merchandising. Stormtroopers: Beyond the Armor by Ryder Windham and Adam Bray. As a Star Wars fan of a certain age (ahem), I try to explore all aspects of the saga when chance arises, especially ones I never really looked into before. Much to my pleasure, Stormtroopers: Beyond the Armor examines every iteration of the iconic trooper, from Ralph McQuarrie’s original concept up to the present day, in an engaging and informative manner. Stormtroopers is filled with asides and gatefolds dedicated to behind-the-scenes tales, concept art, Legends, toys and merchandising, the role of stormtroopers in comics and animation over the years, and much more. The book, which features an eye-popping gorgeous cover, is also richly peppered with amazing photos, many of which were completely new to me. Finding something I’ve never seen before after 40 years as a Star Wars fan never ceases to amaze me. The pièce de résistance is found at the very end of the book. Inside the back cover is an envelope filled with reproductions of concept art, action figure packaging, even a classic Star Wars comic strip. Such a fun addition! It’s hard to narrow down my favorite takeaways from the book, as just about everything is a highlight, but I managed to pull out a few tidbits I found particularly interesting. Again, some of that might be common knowledge to some, but it was new to me. Awesome! Stormtroopers also delves into the Clone Troopers of the prequel era. It was during this time that troopers went from being faceless, mindless characters to becoming very real beings with uniquely individual personalities. That was largely expanded upon during The Clone Wars animated series as we got to know clones like Captain Rex. Stormtroopers was the summary of a story from the 1990s about the stormtrooper who found the droid parts on Tatooine (Look sir, droids!) in A New Hope. The trooper, named Davin Felth, eventually became a spy for the Rebellion after becoming disillusioned with the senseless violence of the Empire. A precursor to Finn? Authors Windham and Bray don’t say so outright, but it lines up nicely with what we know of Finn. As I said, there is a lot of information presented in this book. It truly is a celebration of the creation and evolution of the ever-present stormtrooper. Windham and Bray undoubtedly did a massive amount of research for this book. Stormtroopers also have a role to play in our very real world, as evidenced by the 501st Legion costuming group. No book on troopers would be complete without mentioning the origins and the good work the 501st do on behalf of charitable organizations across the globe. Thankfully, Stormtroopers gives that fine group its due. Stormtroopers: Beyond the Armor brings us right up to The Last Jedi with a section on what little we know about the Praetorian Guards and the First Order Executioner Troopers. Perhaps there will be an expanded and updated version of this book in the future? 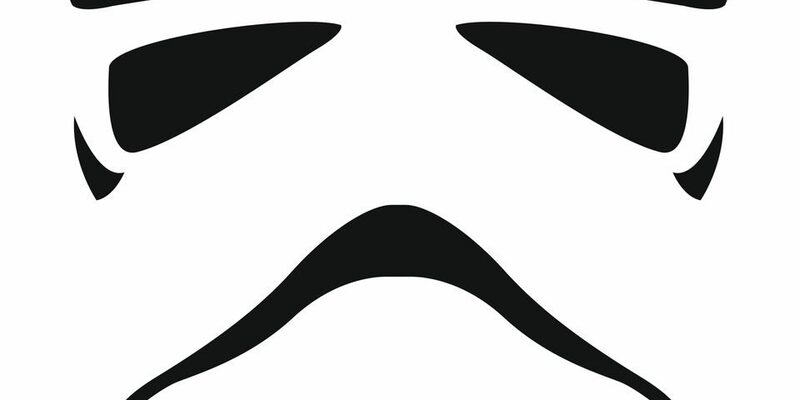 If you’re a die-hard stormtrooper fan, or you’re more like I am… er… was…. Stormtroopers: Beyond the Armor is a worthy addition to the already rich tapestry of ‘making of’ and non-fiction books examining the many corners of our beloved Star Wars saga. Stormtroopers: Beyond the Armor now on Amazon. Thank you to Harper Design and Wunderkind PR for providing a copy of this book for review purposes, as well as the official synopsis, author bios and photos, and book trailer.